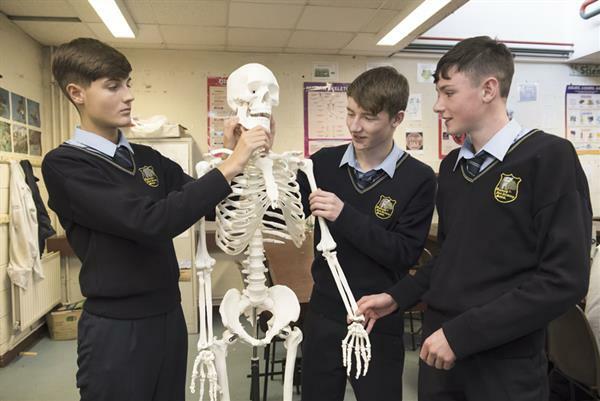 The BT Young Scientist and Technology exhibition is an event held in the RDS every year where students apply, qualify and showcase their projects, inventions and investigations to both the public and a large panel of judges over four days. Here at Maynooth education campus we have had great success over the years at the BT Young Scientist. 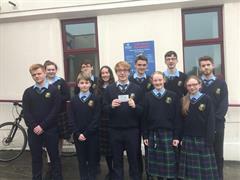 Each year students from the school qualify for the showcase in the RDS which is a huge achievement and on some occasions students from the school have won prizes. It is a great experience for any student and I would encourage anyone who has an interest in science to get thinking and enter a project. Last year we had three groups who made it through to the finals of the BT Young Scientist exhibition held in the RDS in January of this year. To qualify for the finals is a huge achievement as only 550 projects are chosen out of over 3000 entrants. 5th Year student Natasza Spaczynska qualified for the finals with her project ‘BrainProject’. For this Natasza designed and created an app for phones and tablets aimed at elderly people to cut the risks or delay the onset of dementia. Natasza’s project was very popular at the showcase and attracted a lot of attention from the judges and she narrowly missed out on a prize. Transition Year students Emelia Deane, Roisin Condell and Emma Codd entered the competition with their very innovative project aimed at getting more and more students to use school busses to get to school by lowering the fare. The fare would be based on the distance the student was from the school and would be calculated by an app which the girls had designed. The project attracted a lot of attention and the girls even had a special guest visit from TD Michael Martin. Second year student Toby Markham displayed amazing mathematical and computational analysis skills in his project titled ‘Rocket Revolution: Reach for the sky’. Here Toby explored how changing different variables such as pressure and volume affected the maximum height reached by a water rocket. The project was a big hit with the judges and a huge accomplishment for anyone, never mind a second-year student. For his hard work, Toby received a highly-commended award from the judges. The BT Young Scientist was once again a huge hit this year in MEC as numbers of applicants continue to grow year on year. It is our hope that we can again increase our number of representatives from the school at next year’s finals and hopefully bring some prizes back to the school. Well done again to all involved. If interested in participating, please contact Mr Dixon.